This fascinating question was posed by the 14-year-old son of one of my Doncaster landlords when they both popped into my offices before the Christmas break (doesn’t that seem an age away now!). 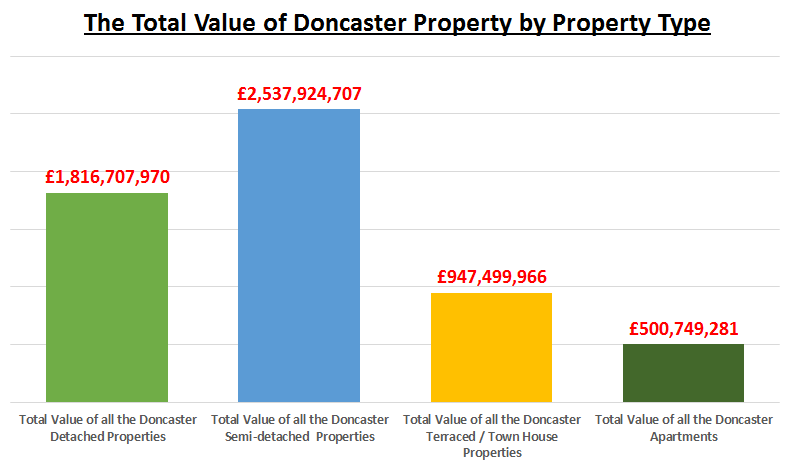 I thought to myself, that over the Christmas break, I would sit down and calculate what the total value of all the properties in Doncaster are worth … and just for fun, work out how much they have gone up in value since his son was born back in the autumn of 2002. In the last 14 years, since the autumn of 2002, the total value of Doncaster property has increased by 87% or £2.7 billion to a total of £5.8 billion. Interesting, when you consider the FTSE100 has only risen by 68.9% and inflation (i.e. the UK Retail Price Index) rose by 38.7% during the same 14 years. When I delved deeper into the numbers, the average price currently being paid by Doncaster households stands at £122,629.… but you know me, I wasn’t going to stop there, so I split the property market down into individual property types in Doncaster; the average numbers come out like this ..
… yet it got even more fascinating when I multiplied the total number of each type of property by the average value. Even though detached houses are more expensive, when you compare them with the much cheaper semi-detached houses, you can quite clearly see detached properties are no match in terms of total pound note value of the semi-detached houses. 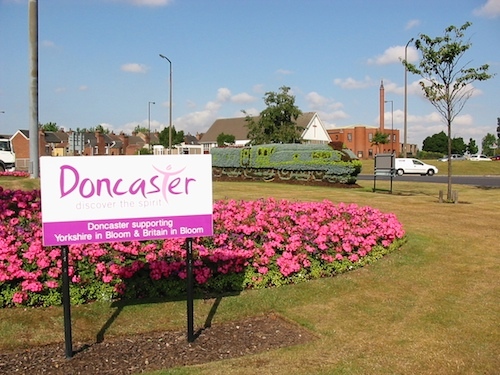 So, what does this all mean for Doncaster? Well as we enter the unchartered waters of 2017 and beyond, even though property values are already declining in certain parts of the previously over cooked Central London property market, the outlook in Doncaster remains relatively good as over the last five years, the local property market was a lot more sensible than central London’s. Doncaster house values will remain resilient for several reasons. Firstly, demand for rental property remains strong with continued immigration and population growth. Secondly, with 0.25 per cent interest rates, borrowing has never been so cheap and finally the simple lack of new house building in Doncaster not keeping up with current demand, let alone eating into years and years of under investment – means only one thing – yes it might be a bumpy ride over the next 12 to 24 months but, in the medium term, property ownership and property investment in Doncaster has always, and will always, ride out the storm. 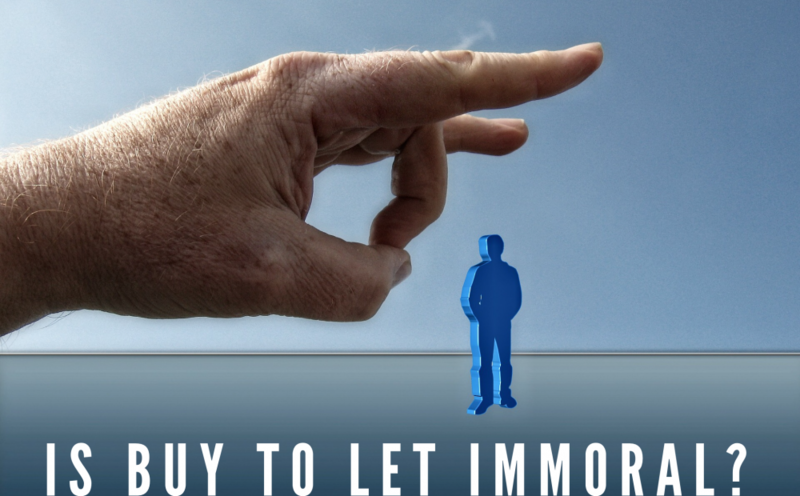 But on the back of TV programmes like Homes Under the Hammer, these same baby boomers started to jump on the band wagon of Doncaster buy to let properties as an investment. 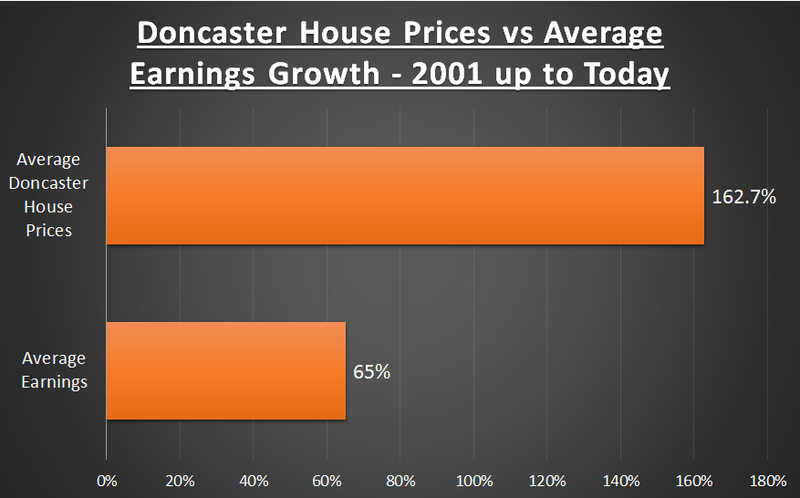 Doncaster first time buyers were in competition with Doncaster landlords to buy these smaller starter homes … pushing house prices up in the 2000’s (as mentioned in Part One) beyond the reach of first time buyers. Alas, it is not as simple as that. Many factors come into play, such as economics, the banks and government policy. But are Doncaster landlords fanning the flames of the Doncaster housing crisis bonfire? I believe that the landlords of the 8,419 Doncaster rental properties are not exploitive and are in fact, making many positive contributions to Doncaster and the people of Doncaster. Like I have said before, Doncaster (and the rest of the UK) isn’t building enough properties to keep up the demand; with high birth rate, job mobility, growing population and longer life expectancy. For Doncaster to meet its obligation on the building of new homes, Doncaster would need to build 402 households each year. Yet, we are missing that figure by around 168 households a year. For the Government to buy the land and build those additional 168 households, it would need to spend £25,761,527 a year in Doncaster alone. 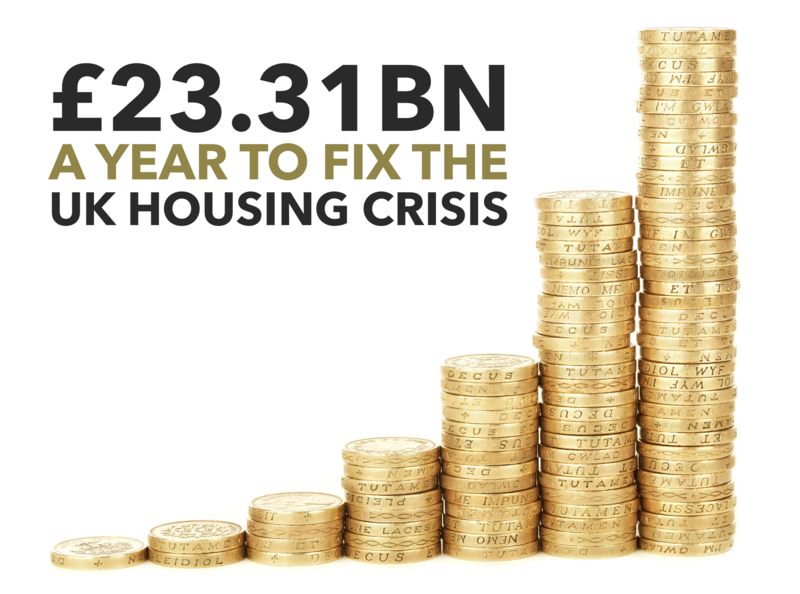 Add up all the additional households required over the whole of the UK and the Government would need to spend £23.31bn each year … the Country hasn’t got that sort of money! With these problems, it is the property developers who are buying the old run-down houses and office blocks which are deemed uninhabitable by the local authority, and turning them into new attractive homes to either be rented privately to Doncaster families or Doncaster people who need council housing because the local authority hasn’t got enough properties to go around. 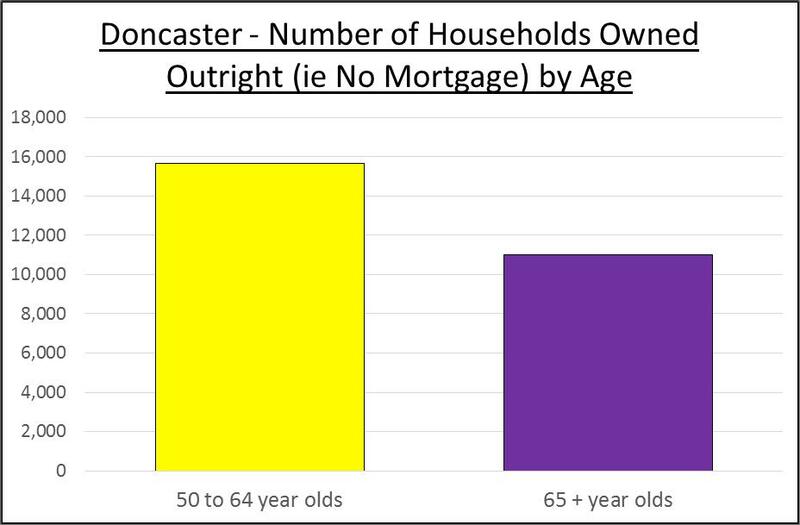 Can we blame the 55 to 70-year-old Doncaster citizens for the current housing crisis in the town? Also known as the ‘Baby Boomer Generation’, these Doncaster people were born after the end of the Second World War as the country saw a massive rise in births as they slowly recovered from the economic hardships experienced during wartime. …Yet some have suggested these Doncaster baby boomers have (and are) making too much money to the detriment of their children, creating a ‘generational economic imbalance’, where mature people benefit from house-price growth while their children are forced either to pay massive rents or pay large mortgages. The issue of housing is particularly acute with the generation called the Millennials, who are young people born between the mid 1980’s and the late 1990’s. These 18 to 30 years, moulded by the computer and internet revolution, are finding as they enter early adult life, very hard to buy a property, as these ‘greedy’ landlords are buying up all the property to rent out back to them at exorbitant rents … it’s no wonder these Millennials are lashing out at buy to let landlords, as they are seen as the greedy, immoral, wicked people who are cashing in on a social despair. The three biggest influencing factors on the Doncaster (and UK) property market in the later half of the 20th Century were, firstly, the mass building of Council Housing in the 1950’s and 60’s. Secondly, for the Tory’s to sell most of those Council Houses off in the 1980’s and finally 15% interest rates in the early 1990’s which resulted in many houses being repossessed. 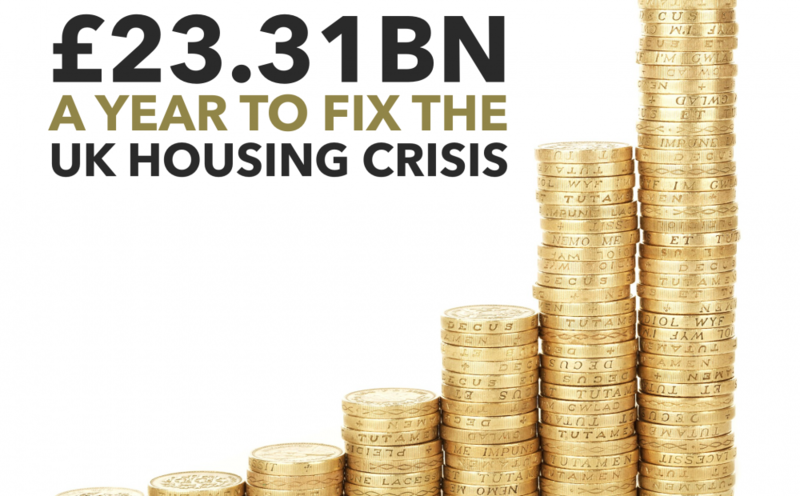 It was these major factors that underpinned the housing crisis we have today in Doncaster. To start with, in 1995 the USA relaxed its lending rules by rewriting the Community Reinvestment Act. This Act saw a relaxation on the Bank’s lending criteria’s as there was pressure on these banks to lend on mortgages in low wage neighbourhoods, as the viewpoint in the USA was that anyone (even someone on the minimum wage) any working class person should be able to buy a home. Unsurprisingly, the UK followed suit in the early 2000’s, as Banks and Building Society’s relaxed their lending criteria and brought to the market 100% mortgages, even Northern Rock started lending every man and his dog 125% mortgages. So when we roll the clock forward to today, and we can observe those very same footloose banks from the early/mid 2000’s (that lent 125% with a just note from your Mum and a couple of breakfast cereal tokens), ironically reciting the Bank of England backed hymn-sheet of responsible-lending. On every first time buyer mortgage application, they are now looking at every line on the 20-something’s banks statements, asking if they are spending too much on socialising and holidays … no wonder these Millennials are afraid to ask for a mortgage (as more often than not after all that – the answer is negative). Conversely, you have unregulated Buy To Let mortgages. As long as you have a 25% deposit, have a pulse, pass a few very basic yardsticks and have a reasonable job, the banks will literally throw money at you … I mean Virgin Money are offering 2.99% fixed for 3 years – so cheap! So, in Part Two next week, I will continue this emotive article and show you some very interesting findings on why young people aren’t buying property anymore (and it’s not what you think!). Well, it doesn’t seem like two minutes ago that it was Christmas – and now it’s all over! One cold December morning, after arranging the office’s Christmas cards I thought I would nip out for a quick festive coffee and over-priced mince pie at my favourite local coffee shop Moona Coffee. I met an old client of mine in the coffee shop and we got talking about the Doncaster property market. I had just completed my research for my next blog article and I would like to share with you the parts of the conversation relating to the Doncaster property market. He asked me what my thoughts were about the last half of the year in regard to the Doncaster property market and if there were any great buy to let deals around. In reply I said that, in my view, shrugging off the uncertainty of the initial post Brexit vote, I have seen an increase in supply and a rise in the number of properties selling at the lower to middle end of the market, meaning both first time buyers and buy to let landlords have been returning in the last few months – proof the market is beginning to bounce back. 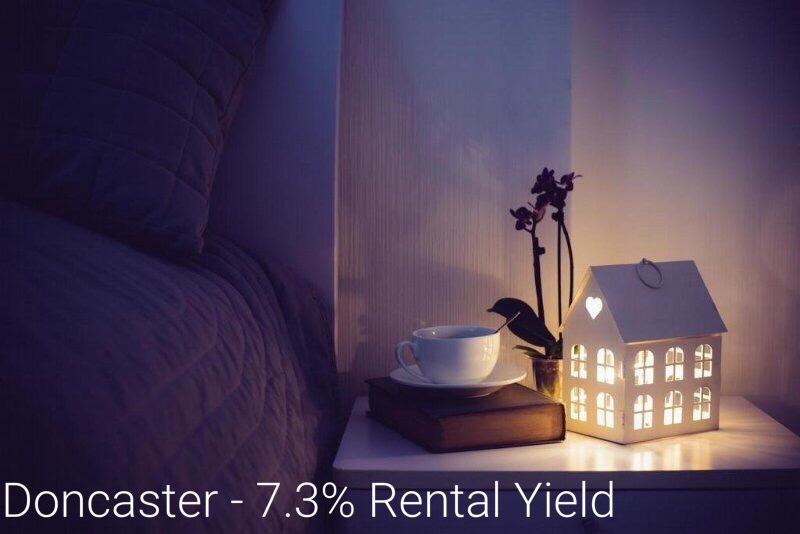 Doncaster 10% Rental Yield – Too Good To Be True? Do you ever look at deal and think this has to be too good to true? Well this one has certainly caught my eye! It is marketed with 247 Property Services with an asking price of just £45,950 and described as a two bedroom flat in a popular residential area, fully double glazed and with gas central heating. 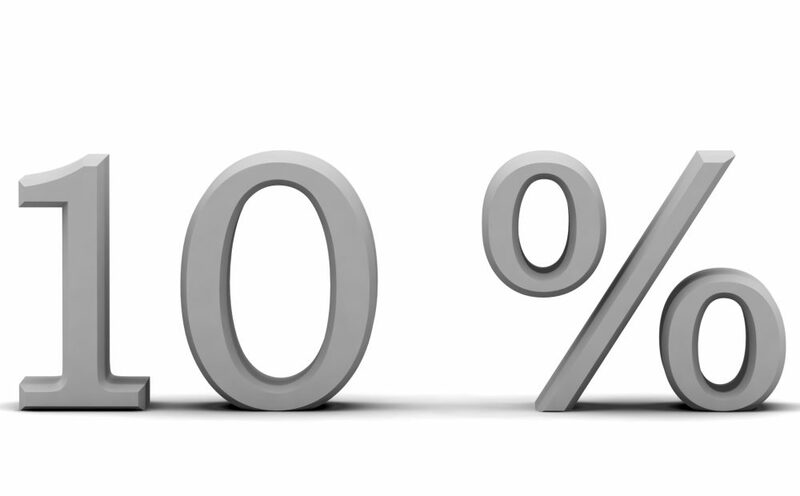 Here’s the best bit… Potential of 10% rental yield!! If you would like my advice on a potential buy to let you’re looking at don’t hesitate contacting me, Frances, on 07896 988366 or call in branch for a coffee. 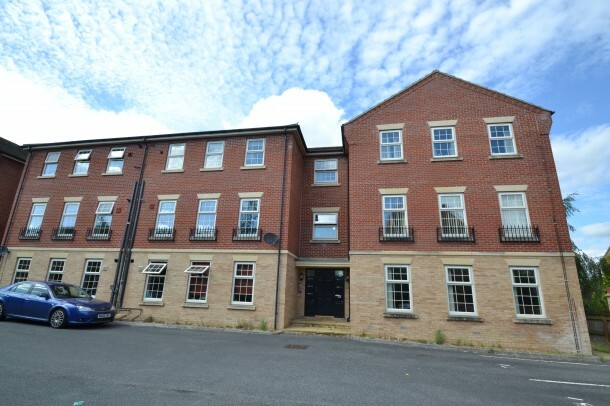 I have come across another two bedroom leasehold apartment for sale on Woodfield Plantation in Doncaster – a very popular area for tenants. It’s a two bedroom first floor apartment for sale with no upper chain TheProperty Hive. They say it is well presented, offer open plan modern living, has allocated parking and an ideal investment which I strongly agree with. I will also add that Woodfield Plantation has a variety of local amenities, an infant and junior school recently opened, a 5 minute drive to the M18 and in the opposite direction a short drive to the A1. The Property Hive have put an asking price on this property of £84,950 and knowing this development very well I would say that’s spot on. It’s a popular development for buy to lets and we let a few in this area recently for £550cm. So what is the rental yield, well if we take the annual income from the rent and divide it by the asking price that gives us 7.7%! This is the link to the property on for more information…. While Brexit has not yet had a sizeable impact on the Doncaster housing market, my analysis is pointing to the fact that the economic viewpoint still remains uncertain and Doncaster property price growth is likely to be more subdued in 2017 – although that isn’t a bad thing so let me explain. The UK property market continues to perform robustly (because we can’t just look at Doncaster as if in its own little bubble) with annual price growth set to end this year at 6.91% and most Yorkshire and Humber region property market at 4.21%. Talking to fellow agents in London, the significant tidal wave of growth seen from 2013 through to 2015 in the capital has subdued over the last six months. However, as that central London house price wave has started to ripple out, agents are starting to see stronger property growth values in East Anglia and the South East regions outside of London, than what is being seen within the M25. So, fellow Doncaster landlords and homeowners, is this the time to get your surfboards ready for the London wave? Well, we in Doncaster haven’t really been affected by what is happening in the central London property mega bubble (i.e. Kensington, Chelsea, Marylebone, Mayfair etc.). The property market locally is more driven by sentiment, especially the ‘C’ word … confidence. The main forces for a weaker Doncaster Property market relate to economic uncertainty surrounding the Brexit process, which I believe will impact unhelpfully on consumer confidence in the run up to and just after the serving of the Section 50 Notice by the end of Q1 2017. 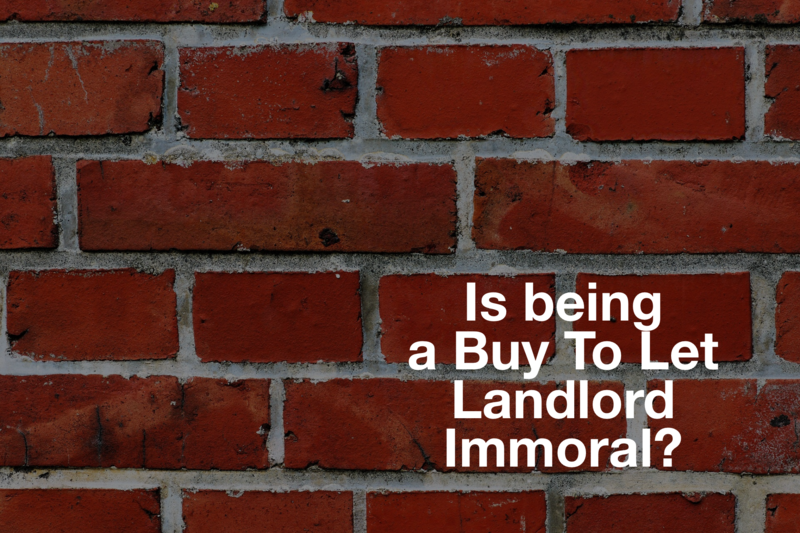 In addition, the influence of reforms to the taxation of landlords is expected to result in a reduced demand from buy to let landlords, which will limit upward pressure on property values. However, on the other side of the coin, demand from tenants has been strong, but this has been counterbalanced by a strong supply of rental properties. In my opinion, there is a slight risk of rents not growing as much in 2017 as they have in 2016, but by 2018 they will rise again to counteract Philip Hammond’s changes to tenant fees. The broader Doncaster rental market looks relatively positive with modest rental growth expected and rents might rise further if landlords begin to sell properties in an effort to offset to the impact of tax rises. 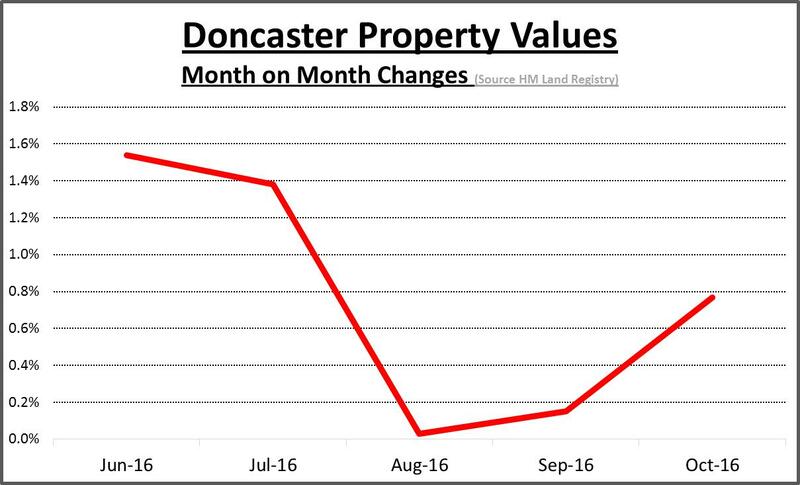 So what do I predict will happen to the Doncaster housing market in 2017? In Doncaster the growth of 5.72% for 2016 is set to fall to just 0.2% next year, then up 2.1% in 2018, 3.1% in 2018, 2.4% in 2019, 3.3% in in 2020 and finally 3.4% in 2021. 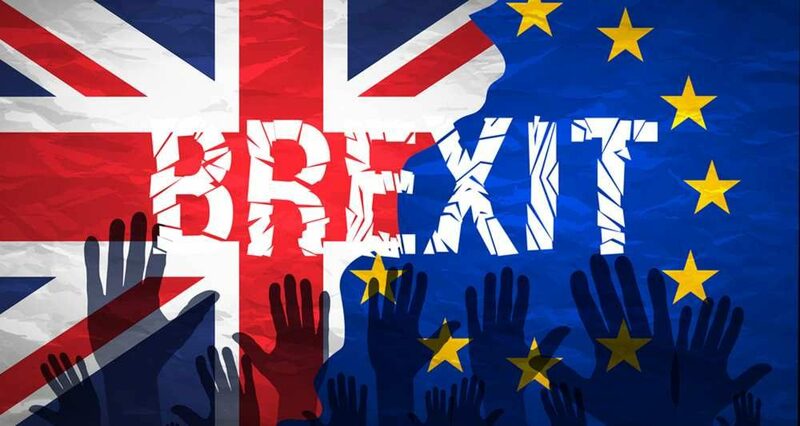 But these predictions do not take into account any effect of a possible snap General Election or further referendum on ratifying any Brexit deal (if that comes to pass in the future). Well this weekend has gone by in a blink of an eye so as we start the second week of January I am sharing this property I think would make a great investment. It’s marketed with Moss Properties and located in Carcroft. 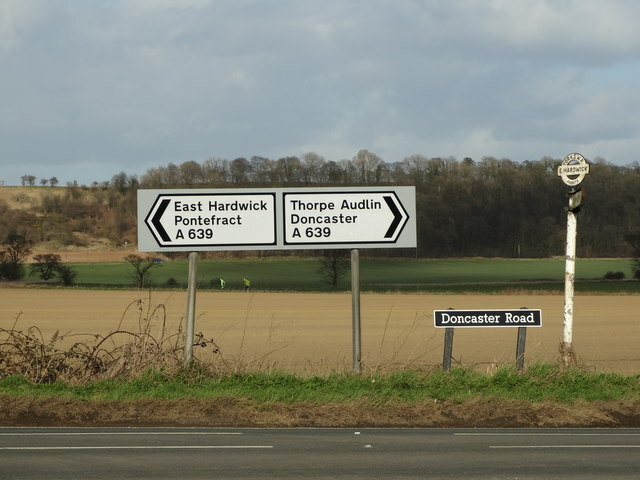 A great location for commuters to A1/M62 connecting Doncaster to Leeds, Wakefield, York and beyond; very popular with tenants. 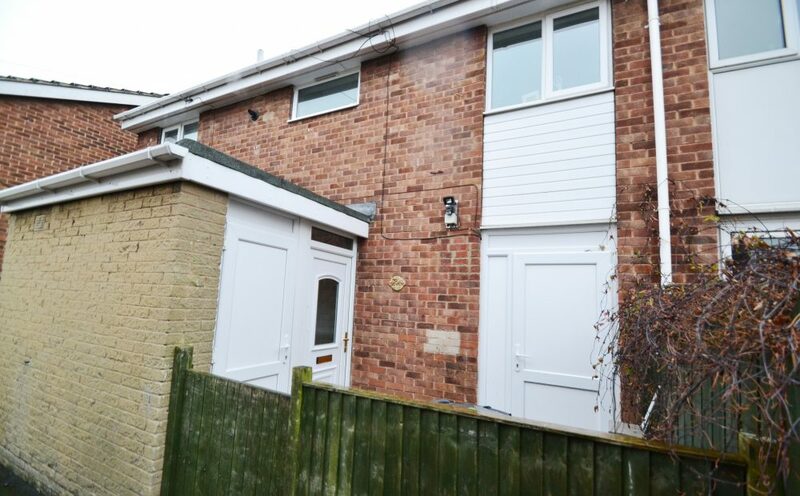 The property is semi-detached with two double bedrooms and generous third, appears to be in great condition meaning it would be ready to go upon completion! Not to mention outside being low maintenance another plus for tenants. Given the demand for similar properties and condition I would estimate the rent to be £500pcm. Basing the figures on you paying £80,000 the return is 7.5%. 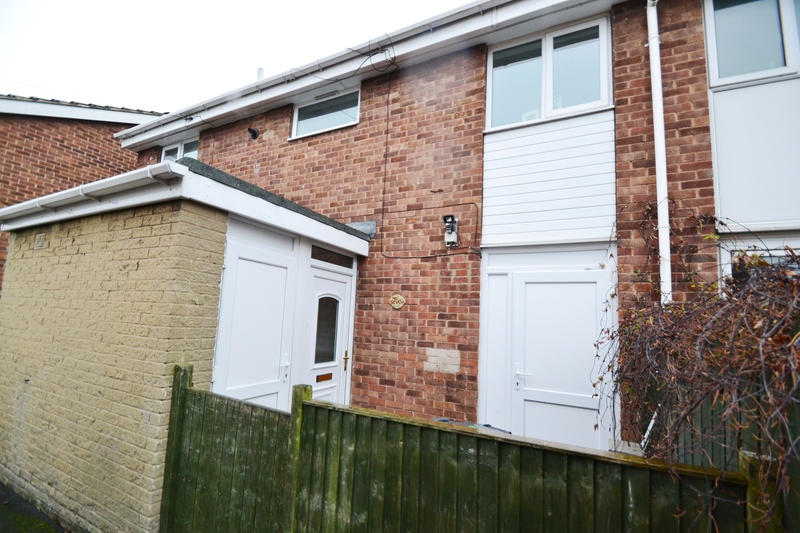 Over the Christmas period I have been monitoring what properties have been coming to market so that I can deliver to you a good buy to let deal and I came across a two bedroom mid terraced advertised with W H Brown at £90,000. The property is on Bramham Road in Cantley and is described as; chain free, spacious rooms and open plan kitchen/diner. Cantley is a sought after area due to the schools close by and a couple with in 1 mile of this property are rated ‘good’ by ofsted are Bessacarr Primary School and Hatchell Wood Primary School. The rent for a property like this one I would estimate at £550pcm which at a purchase price of £90,000 gives you a 7.3% rental yield. Doncaster people aged over 65 currently hold more housing wealth in their homes than the annual GDP of the whole of the Isle of Anglesey … and this is a problem for everyone in Doncaster! Many retiree’s want to move but cannot, as there is a shortage of such homes for mature people to downsize into. Due to the shortage, bungalows command a 10% to 20% premium per square foot over houses of the same size with stairs. To add to the woes, in 2014, just 1% of new builds in the UK were bungalows, according to the National House Building Council – down from 7% in 1996. My research has found that there are 11,010 households in Doncaster owned outright (i.e. no mortgage) by over 65 year olds. Taking into account the average value of a property in Doncaster, this means £1.6 billion of equity is locked up in these Doncaster homes, compared to the GDP of the whole of the Isle of Anglesey being £797 million of GDP. A recent survey by YouGov, found that 36% of people aged over 65 in the UK are looking to downsize into a smaller home. However, the Government seems to focus all its attention on first-time buyers with strategies such as Starter Homes to ensure the youngsters of the UK don’t become permanent members of ‘Generation Rent’. Conversely, this overlooks the chronic under-supply of appropriate retirement housing essential to the needs of the Doncaster’s rapidly ageing population. Regrettably, the Doncaster’s housing stock is woefully unprepared for this demographic shift to the ‘stretched middle age’, and this has created a new ‘Generation Trapped’ dilemma where older people cannot move. Some OAP’s who are finding it difficult to live on their own, are unable to leave their bungalow because of a lack of sheltered housing and ‘affordable’ care home places. So, older retirees can’t leave bungalows, younger retirees can’t buy bungalows and younger people can’t buy family houses. Interestingly, adding insult to injury, the problem will only get worse, as in the 50 year old to 64 year old homeownership age range there are an additional 8,456 Doncaster households that are mortgage free and a further 7,169 Doncaster households who will be completing their mortgage responsibility. With Government projections showing the proportion of over 65’s will rise by over a third from the current 17.7% to 24.3% of the population in the next 20 years … this can only add greater pressure to the Doncaster Property market.